My Life in Letters: RE: @cupe4600 Bargaining. 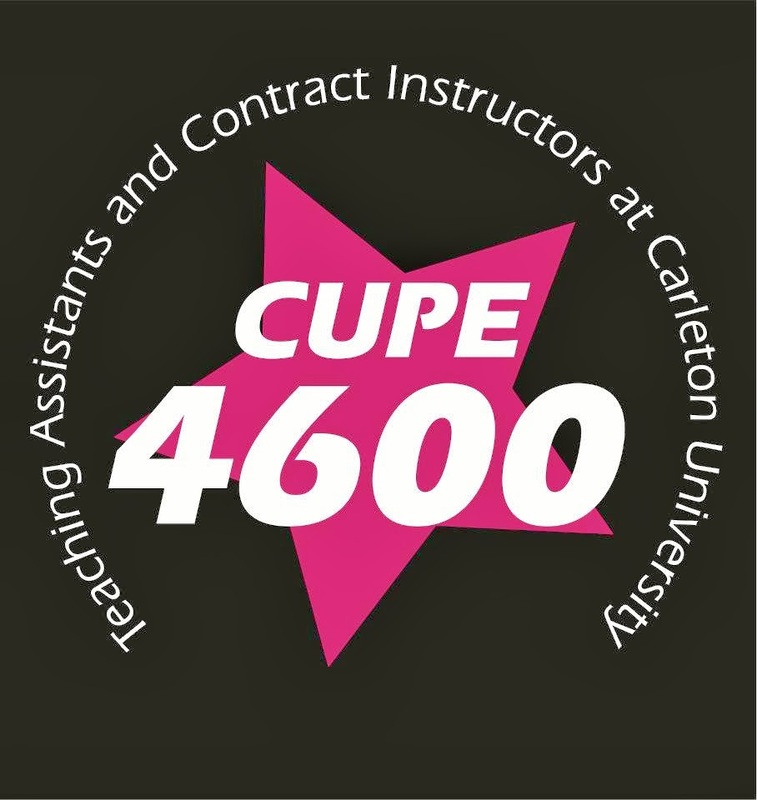 I write today as Teaching Assistant and proud CUPE 4600 member concerned with bargaining. Specifically, I am writing to address the proposal discussed at the Sept 26th General Membership Meeting that would grant preference to international students for TA positions where all other qualifications are considered equal. In truth, this proposal is not one I can support in good conscience. While I understand that international students face additional bureaucratic and financial barriers to their progress at Carleton, I also acknowledge that a single criteria is incapable of describing need. Parental or family status, (dis)ability, health, wealth, and other factors structure the need of TA applicants in significant ways that are not captured by citizenship. I suggest that the proposal be reconsidered to factor need rather than citizenship as the deciding factor between equal applicants. *Teaching Assistants & Contract Instructors at Carleton University in Ottawa, Ontario. The union is currently bargaining a new collective agreement.